Features teprenone and caprylic acid, two key ingredients that help restore your skin’s youthful glow, as well as hyaluronic acid and red tea extract. 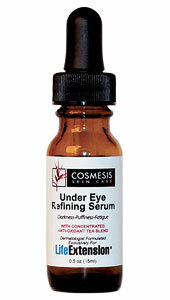 This novel combination works to replenish youthful skin appearance and helps you stay young-looking. Whether you’re a man or a woman, the visible effects of aging on your appearance are always the same. Skin tone eventually loses its luster. The firm, supple look of your younger years begins to fade. 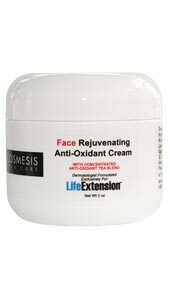 Face and neck become noticeably dry and wrinkled instead of refreshed and vibrant. 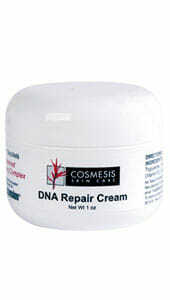 Now you can combat these changes with DNA Support Cream by Cosmesis®. An innovation in skin care, this formula features teprenone and caprylic acid, two key ingredients that help restore your skin’s youthful glow. Teprenone has a molecular structure similar to vitamin K, while caprylic acid occurs naturally in palm and coconut oils: topical ingredients dermatologists have relied on for years to help men and women enhance their skin’s appearance. The new DNA Support Cream also features hyaluronic acid, a compound found in high concentrations in your skin when you’re young, whose levels decline over time. Abundant in olive oil and similar to vitamin A in molecular structure, the moisturizer squalane also occurs in your skin naturally and gradually diminishes over the years. The quenching action of red tea extract in DNA Support Cream also lends your skin a fresher look. This novel combination of beautifiers works to replenish youthful skin appearance and helps you stay young-looking as you grow older. Ingredients: Purified Water (Aqua), Cetearyl Alcohol, Squalane, Teprenone, Caprylic / Capric Triglyceride, Cyclopentasiloxane, Dimethicone, Hyaluronic Acid, Polysorbate 60, Cholecalciferol (Vitamin D3), Concentrated Tea Blend Extract, Phenoxyethanol, Ethylhexylglycerin. 1. Sederma. Data on file. 2007.